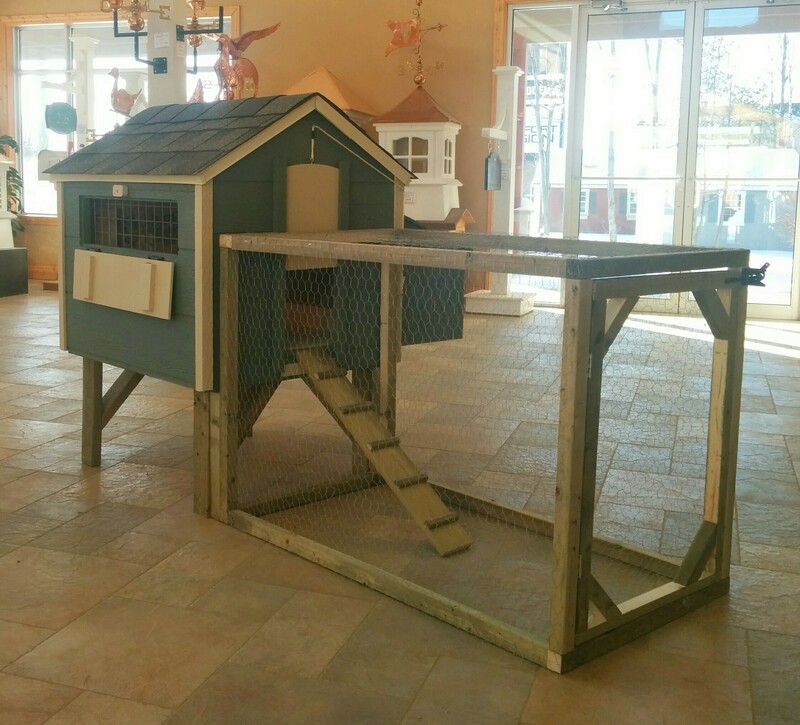 Missisquoi Cupola also builds chicken coop designed specifically for use in towns and cities, but equally useful in the country. Create a beautiful living environment in your backyard and enjoy fresh eggs daily. Children and grand-children will enjoy hours of entertainment and learning. 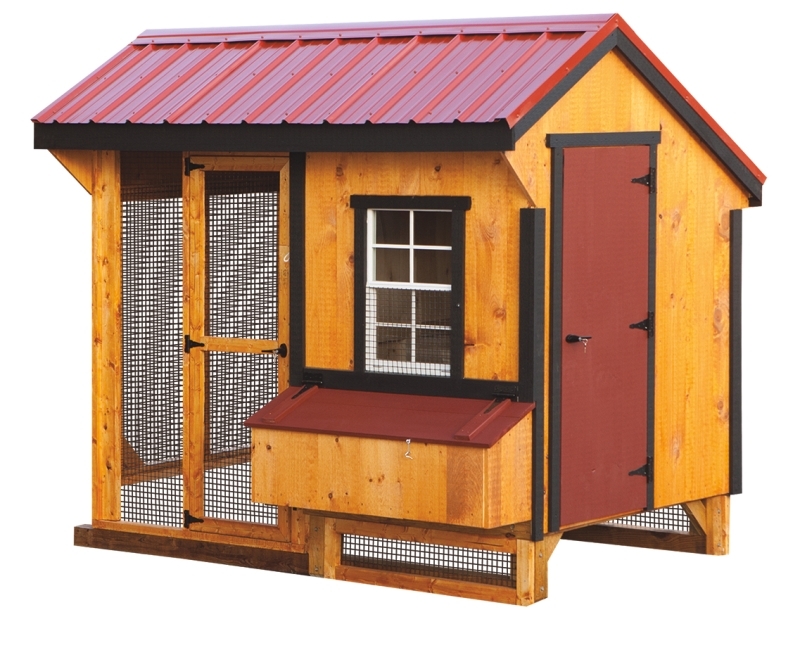 Keep your chickens happy, healthy, and safe by providing them the best a Missisquoi Cupola chicken coop. Exceptionally sturdy construction , 2×4 framing and Smartside siding, guaranted 50 years. Lifetime warranty on asphalt shingles. 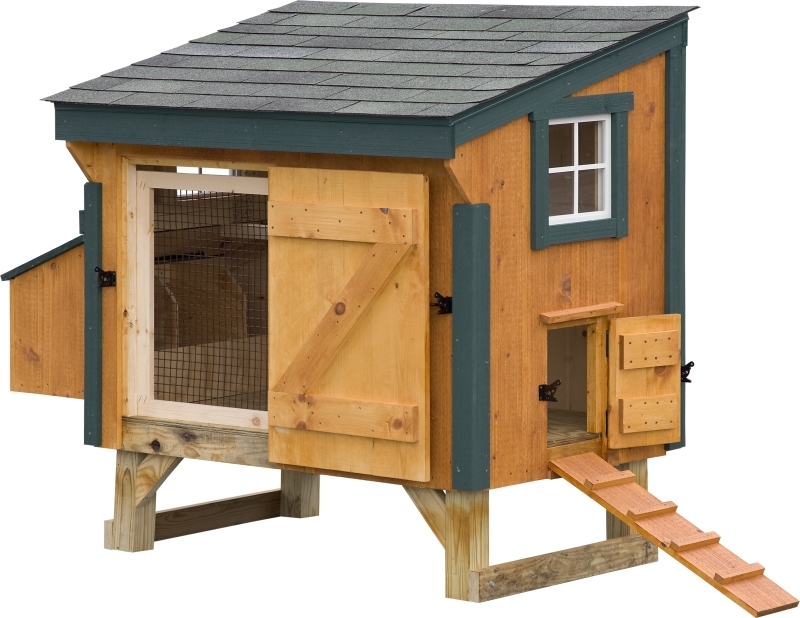 Includes 3 easy access nesting boxes, guillotine door, wired window, large access door, perch and access ramp. 4′ x 6′ chicken coop & 4′ x 6′ exterior run. Can nest 6 to 8 chickens.Board and batten siding whit higher pitch roof. 3′ x 5′ coop with low slope roof . Can nest 3 to 5 chickens.Solid construction including a large access door.